A very exciting, record-breaking, and ever so slightly crazy sort of challenge. It involves a small boat, some oars and over 3,000 miles of Indian Ocean. 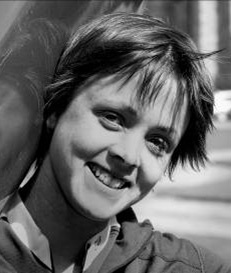 Expedition Medicine has recently been approached by a great British explorer maybe read ‘eccentric’ in the making, Sarah Outen who plans, in memory of here rather to row single handed across the Indian Ocean in 2009. Sarah has asked us to provide a tailored medical training course designed specifically around her needs which we are happy to do. In Spring 2009 I will row solo from Western Australia to Mauritius in a bid to become the first woman, and youngest and fastest person, to make the crossing. Rowing up to 12 hours a day under a scorching sun, riding 30ft waves, battling winds and currents, sharks, capsizes and shipping traffic, it will be a test of endurance, stamina and my sense of humour. It will be raw and elemental – just as adventure should be. The venture is dedicated to my lovely Dad, who died suddenly in June 2006. He had suffered terribly with rheumatoid arthritis for as long as I can remember, so in his memory I am fundraising for the Arthritis Research Campaign. A biologist and outdoor enthusiast, I love the creatures to be found at sea and want to encourage others to appreciate them, too. After all, what we love, we save. My journey will be a green one, as far as possible, and aims to encourage responsible stewardship of our planet, especially of the blue stuff.